Hi finally got a pic. 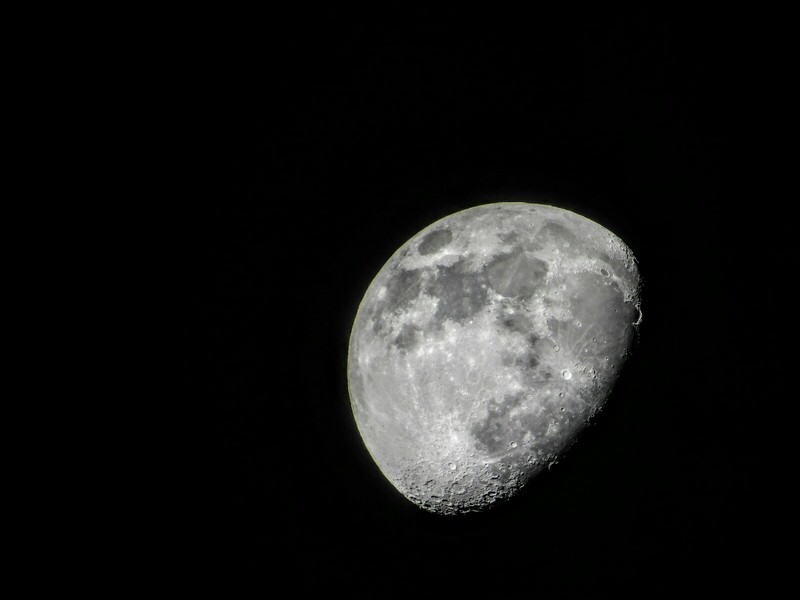 Took a while with ghosting between the camera lense and eyepiece ,had to use a Kellner too clear that up . No real fine detail , used an lg tablet for processing. This was with an 80 mm Meade from the mid eighties and the camera a Nikon coolpix 7000. Nice first post, Matt! Welcome to CN (although I see it says you joined 3 years ago and this is your first post!.....took some warming up, eh?). Like many of us, I got my first start taking photos of the Moon with my phone through the eyepiece, so I can certainly appreciate how difficult it is to take good images this way. Edited by Tom Glenn, 19 March 2019 - 06:29 PM. Real nice image Matt. I haven't much luck imaging from the eyepiece. This dramatic image make the moon look like it is hurtling at an angle towards us on earth! Assuming its not, then I think I need more sleep...seem to be getting a bit light headed.